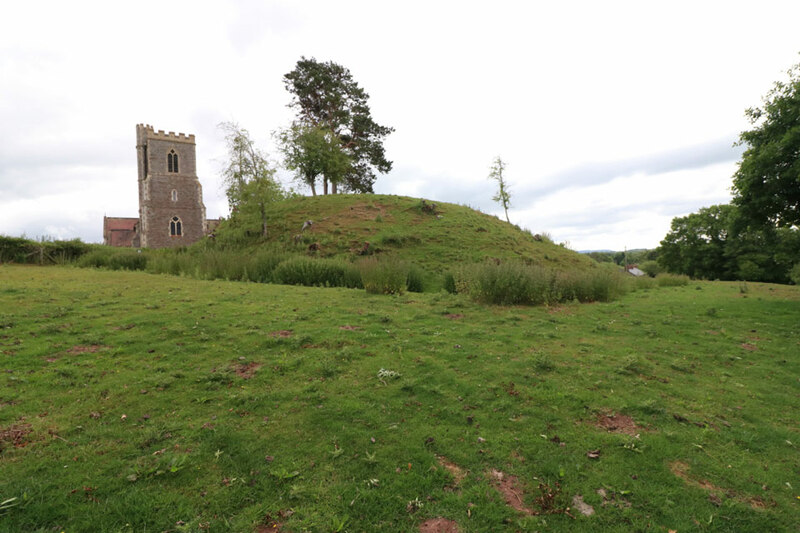 A circular motte remains with a flat top and surrounded by a dry ditch next to the church from a 12th century stone castle. The diameter is 60 feet at the top and it is almost 30 feet above the bottom of the ditch. There are some buried foundations from a polygonal shell keep on the motte.